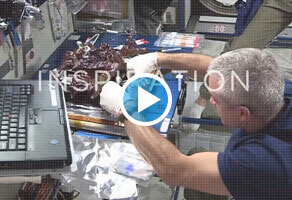 Dr. Steve Swanson, former NASA Astronaut and FAU alumnus, joined the College of Engineering and Computer Science to make direct contact with Astronaut Anne McClain, currently working and living on the International Space Station. After a competitive proposal review and selection process, Florida Atlantic University’s College of Engineering and Computer Science was chosen by NASA to host this once-in-a-lifetime Earth-to-Space call from the Boca Raton campus location. Over 350 guests, comprised of middle, high school, and college students, as well as community and industry members, received a special surprise when Governor Ron DeSantis helped commemorate this special day by joining via Skype to do a welcome message to the audience, prior to the Earth-to-Space Call. Additionally, Dr. Steve Swanson, Retired NASA Astronaut and College alumnus, facilitated a fascinating presentation about his time in space. Hosting such a monumental event has truly provided an extraordinary experience. "Our hope is that this unique experience will leave a long-lasting impression and ignite true interest in Science, Technology, Engineering and Math. We also hope that the students will see themselves as the next generation to revolutionize and transform the technological landscape of the world," said Stella Batalama, Ph.D., dean of FAU’s College of Engineering and Computer Science. 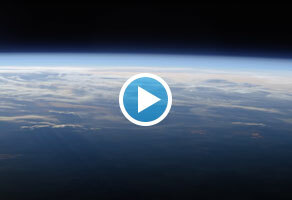 To watch the full International Space Station Skype call with NASA astronaut Anne McClain, click on the video below.